Complete your concession stand fare with this Muy Fresco 110 oz. cheddar cheese sauce. This cheddar cheese sauce is just what you need to put the finishing touch on a variety of concession staples! Whether you're serving nacho chips, hot dogs, soft pretzels, or fries, this cheese is sure to please. You can also jazz up your existing menu items, like Philly-style cheese steaks, baked potatoes, and burgers, with irresistible cheddar flavor. "Cheese sauce has great flavor. We use it for our jumbo frozen pretzels and our nachos. Employees like the packaging and the customers enjoy the product. Great value, great item." This cheesy and creamy sauce offers your customers a sharp and intense flavor of real cheddar with the convenience of a bagged product! 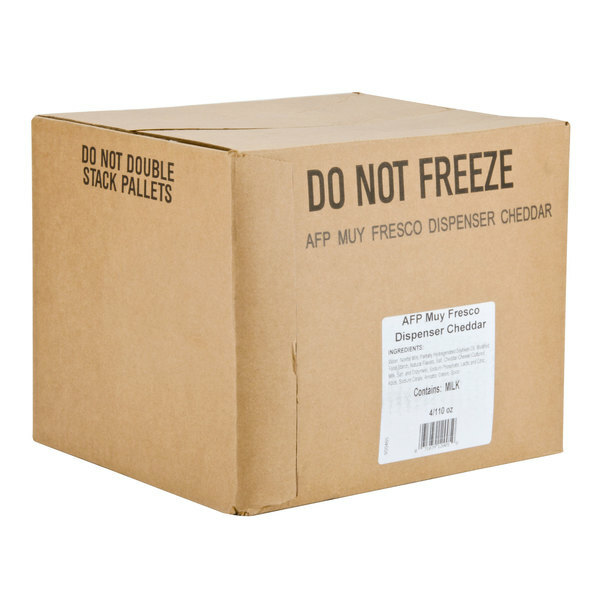 The bag keeps your product fresh, allowing you to safely store cheese sauce in your kitchen or concession stand without refrigeration. Great for snack foods, appetizers or concession stand foods, this user-friendly Muy Fresco 110 oz. 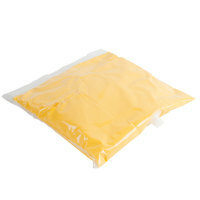 cheddar cheese sauce bag offers just the right amount of smooth texture and cheesy flavor. 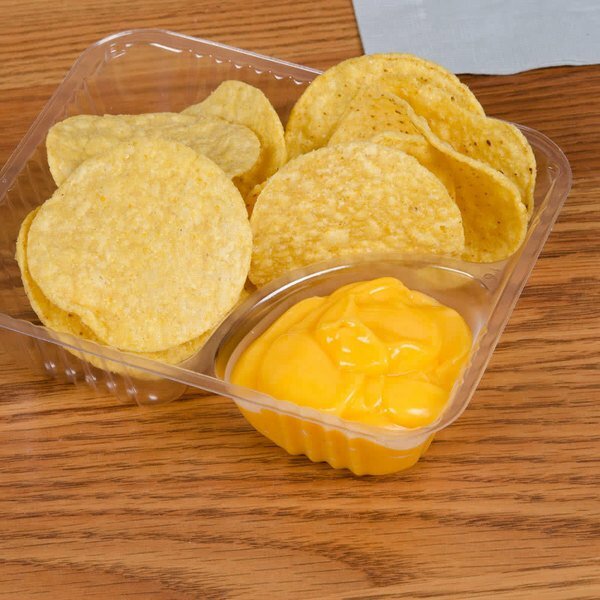 This product comes with four connecting tubes that easily attach to a cheese sauce dispenser (sold separately), allowing you to add creamy cheese to your nacho chips and cheese fries with little effort! Plus, using a cheese sauce dispenser limits wasted product, which ultimately saves you money! This is the best cheese sauce I have tried from a dispenser pouch. I have tried many brands and most of them have a strong preservative aftertaste. This one is very cheesy with no bad aftertaste. Definitely recommend. It is good with fries, on nachos, and even on burgers!! 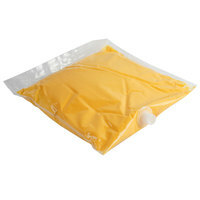 A great tasting cheese sauce in a very convenient bag that makes preparation a breeze. Easy to warm up and fits perfectly into our dispenser for easy squirting. Cheese sauce has great flavor. We use it for our jumbo frozen pretzels and our nachos. Employees like the packaging and the customers enjoy the product. Great value, great item. Very buitiful the best nacho cheese in the states for french fries nachos good for operating in restaurants small home uses and businesses great for fast foods . Cheese bags are easy to use and great on the cleanup. Good cheddar cheese flavor, not spicy at all. Love that you can store at room temperature until needed. Our customers love this cheese. They say it makes the best nachos. It is creamy and has a great cheddar flavor. Definitely recommend it for use. Very good product! We use it a lot in our food truck! The ease of use and the quality of the product can't be beat! We use this for our nacho cheese machine. Easy to use and clean and is a popular concession stand item. We always sell a lot of nachos at our events. 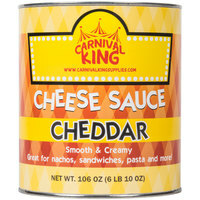 We use this Cheddar Cheese Sauce in our concession stands at all sporting events. Easy to use with the dispensing units. Great quality and awesome taste. Purchased this product to be used with the new dispenser and found it to be very easy to install and has a good taste to go along. Save Up To $2.64 with our Recommended Product! Check out this Carnival King 110 oz. cheddar cheese sauce instead! Featuring the same 110 ounce capacity, this bag of cheddar cheese sauce is gluten free and comes in a shelf-stable, ready-to-serve package making it easy for you to quickly change bags at your concession stand or food truck. This cheesy and creamy sauce is sure to enhance your french fries, hot dogs, and nachos and is available to you at a lower price!